Heat oven to 350°F. 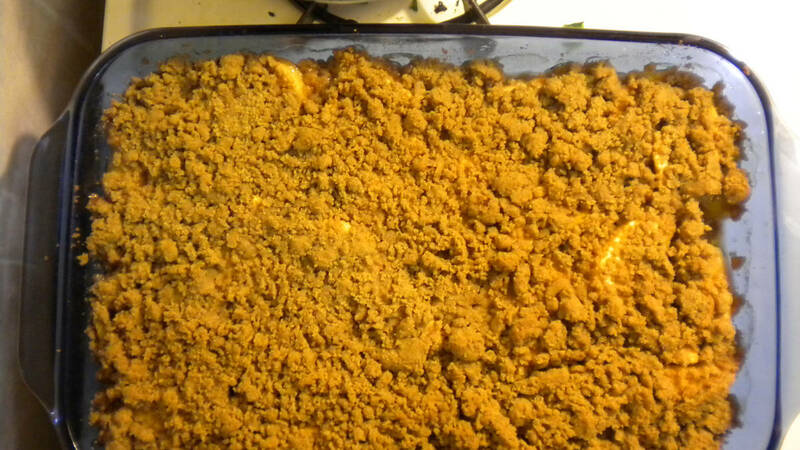 Grease bottom and sides of 13x9-inch baking dish with vegan buttery spread. In large bowl, mix apple filling ingredients; set aside. In medium bowl, mix brown sugar, Bisquick™ mix and 2 teaspoons cinnamon. Cut in spread, using pastry blender (or pulling 2 table knives through mixture in opposite directions), until mixture is crumbly. Spread 4 cups of the apple filling in pan; sprinkle 1/2 cup crisp topping over apples. Spoon remaining apple filling on top; sprinkle with remaining crisp topping. Bake 50 to 55 minutes or until topping is golden brown and apples are tender when pierced with a fork. Serve with whipped cream.